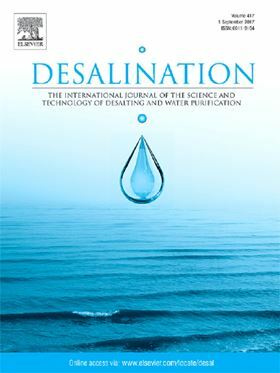 The research article 'Validation of recycled membranes for treating brackish water at pilot scale' has been published in Elsevier journal Desalination. Over the 65% of the installed desalination capacity is related on reverse osmosis (RO) membrane technology. However, membranes have to be replaced when fouling effect is irreversible. In fact, it is estimated that > 840,000 end-of-life RO membranes modules are discarded annually at worldwide scale, mostly in landfills. In this study, end-of-life RO membranes were recycled at pilot scale by using concentrated solutions of free chlorine. Chemical attack enables the removal of polyamide layer partially or totally, obtaining nanofiltration (NF) and ultrafiltration (UF) membranes, respectively. 5 diverse end-of-life models were tested. Recycled membrane performance (permeability and rejection coefficients) was identified by filtering natural brackish water (BW). Further, validation test were conducted in order to analyze the recycled membrane stability by filtering BW long-term at Cuevas del Almanzora Desalination plant. For this purpose, two real pressure vessels with the capacity of hosting 6 membranes each were adapted. Recycled membranes did not show performance decline after 4 month of filtration. Promising results have been observed. Recycled seawater membranes with properties between RO and NF were validated as potentially fusible membranes. Recycled BW membranes, with high sulphate ion selectivity, were evaluated as a potential alternative of the current NF commercial membranes.